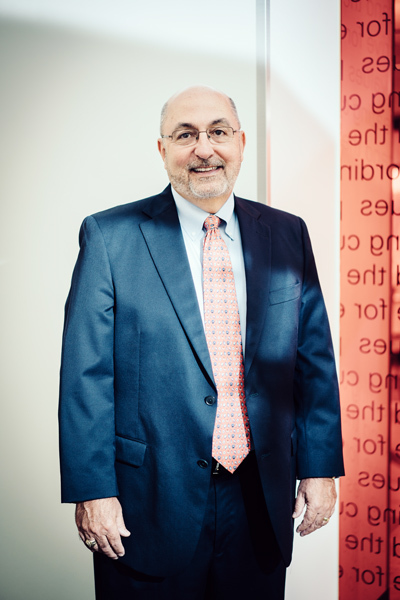 After twenty-five years with Safelite, the company’s chief financial officer, Doug Herron, can sum up the company’s impressive transformation and subsequent success with one belief: people matter most. As Herron embarked on his final days with the company at the end of 2017, the gratitude he expressed was as sincere as the humility he displayed throughout his tenure. “I retired proud of our achievements and with heartfelt thanks to our associates for their commitment to our customers, our community, our business, and to one another,” Herron says. But behind that modest sentiment is a gifted trailblazer who helped Safelite’s sales grow from $300 million to $1.6 billion, becoming the preeminent leader in the vehicle glass repair and replacement industry during his career. But long before his years with Safelite, the importance of people and culture were at the foundation of Herron’s beliefs. Yet, it took years for him to find a company and leadership team whose values aligned with his evolving passion in a way that produced monumental change and extraordinary results. Herron was enjoying his professional life in 1992. As chief financial officer for GE Medical Systems, Herron led a team of 625 people, traveled the world, and managed global revenues that topped $3 billion. The headhunters called each quarter, but he was never tempted. During his time with GE, Herron had several key conversations and experiences that would shape his entire career. One such conversation occurred when a division vice president asked Herron what drives a business. Herron’s response: “people.” But the vice president disagreed. “He said the answer is net income,” Herron recalls. Soon after, the vice president was fired. GE’s culture was changing under CEO Jack Welch, who cut through formal structure and bureaucracy to create a culture built on people, performance, and integrity. Herron’s own philosophy started to cement around that time. Five years inside GE’s financial services business also helped Herron develop his financial expertise. GE was rapidly growing, and each year brought a new assignment. But after twenty years with the company, Herron knew the way things worked. He aspired to lead an entire enterprise with financial responsibility over a total business entity, and his wife encouraged him to consider life outside of GE. So, the next time a headhunter called, Herron listened. One call introduced him to a position at Safelite Group Inc., a vehicle glass company based in Columbus, Ohio. At first glance, it seemed as though he would pass on it. Herron’s current division at GE was larger than Safelite’s entire industry in 1992. Plus, at the time, the company was losing $40 million per year. He nearly hung up the phone. Instead, he was convinced to meet Safelite’s new leadership team, and when he did, he discovered something surprising and intriguing. “They were hemorrhaging money, and yet, the leaders were sitting around a table writing a company mission statement, value statements, and key strategies,” Herron says. “I knew I was looking at a smart group of people—strong leaders who shared conviction around a compelling vision.” Herron took the job. His first months as Safelite’s CFO weren’t easy. The company needed to be recapitalized. Safelite’s stores competed with one another for resources and on price, and Herron knew the company would have to reinvent its operating model to gain efficiencies and lay the foundation to become a successful national service brand. Herron implemented strategies to accomplish that. He and the Safelite leadership team started marketing Safelite’s services directly to insurance companies. They knew that by outsourcing auto glass claims, those insurers could spend their time on other initiatives while relying on Safelite’s expertise. Safelite focused on providing its clients with excellent service and innovative solutions. That strategy paid off as Safelite cultivated trusting client relationships and won key accounts with national insurance and fleet management companies. In 1992, Safelite had $300 million worth of revenue. By 1996, Safelite’s new operating model had increased revenue to $450 million. Two years later, with an established track record of solid performance, Herron led another major acquisition, this time as the acquired. In 2007, Belron, the world’s largest company dedicated to vehicle glass, purchased Safelite, positioning the company for growth with global best practices and capital investments. With Belron came a core belief that aligned with Herron’s: great companies are built by great people. “I believe employees come first, then customers, then shareholders,” Herron says. Doug Herron looks forward to using the life lessons from his career and putting them to good use by filling board seats, consulting, teaching, and sharing his Safelite spirit with others. Aon plc (NYSE:AON) is a leading global professional services firm providing a broad range of risk, retirement, and health solutions. Our fifty thousand colleagues in 120 countries empower results for clients by using proprietary data and analytics to deliver insights that reduce volatility and improve performance. Bank of America Merrill Lynch works with companies of all sizes to help them operate more efficiently and seize opportunities. Whether updating technology, acquiring another company or conducting business globally, their banking professionals have the solutions and expertise to assist your business.